Her comments came shortly after Kemp announced he was stepping down as secretary of state and moving forward with the transition to become the state's next governor. Kemp is a Republican. Abrams is a Democrat. (This item has been edited to correct attribution of quote to Abrams' campaign manager). He says even if his opponent Democrat Stacey Abrams "got 100 percent of those votes, we still win." 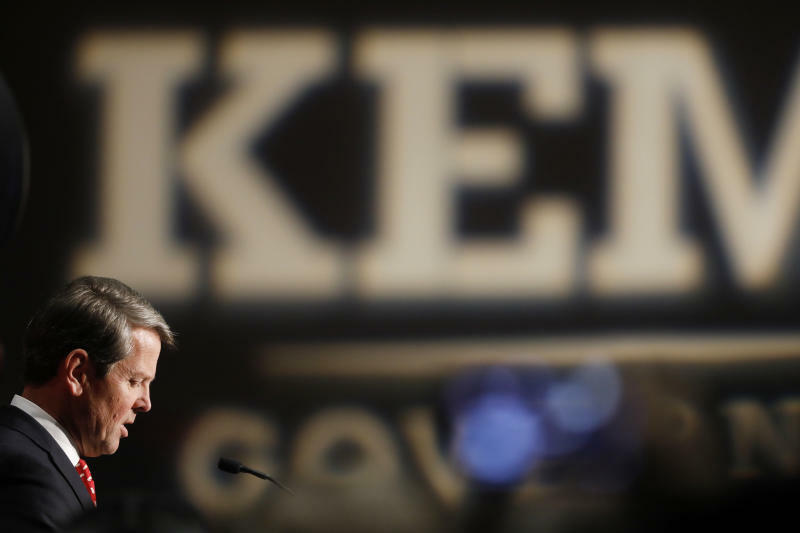 Kemp's statement came at a news conference Thursday with outgoing Republican Gov. Nathan Deal. Kemp also announced that he was stepping down as secretary of state as of 11:59 a.m. An interim secretary will oversee the rest of the vote counting. 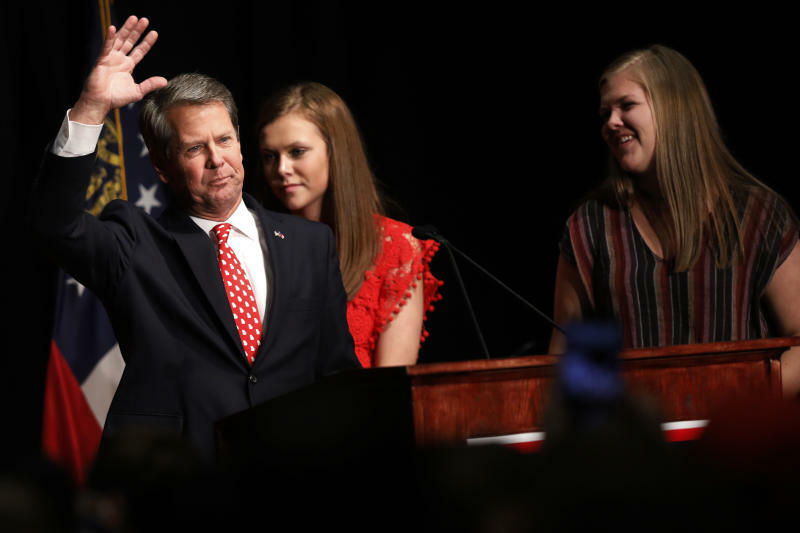 Republican Brian Kemp says he and his campaign are declaring victory because it isn't possible for his opponent to pick up enough votes to force a runoff. Democrat Stacey Abrams' campaign has said there are still enough uncounted votes to force a Dec. 4 runoff and that they need to pick up about 15,000 votes to do so. In an interview with WSB Radio Thursday, Kemp says his rival's campaign is using "old math." Without providing specifics, he said the number "is actually more like 30,000 votes." Abrams' campaign manager Lauren Groh-Wargo says Kemp has offered no proof of why anyone should take his word. Kemp plans a 10 a.m. news conference Thursday at the Georgia Capitol, where he will be meeting with Gov. Nathan Deal to begin the transition to the governor's office. The Georgia governor's race isn't officially over. But Republican Brian Kemp's campaign says he's the winner based on numbers provided by his own secretary of state's office. Democrat Stacey Abrams' campaign says there are still enough uncounted votes to force a Dec. 4 runoff. Incomplete returns show Kemp with just enough votes to win without a runoff. 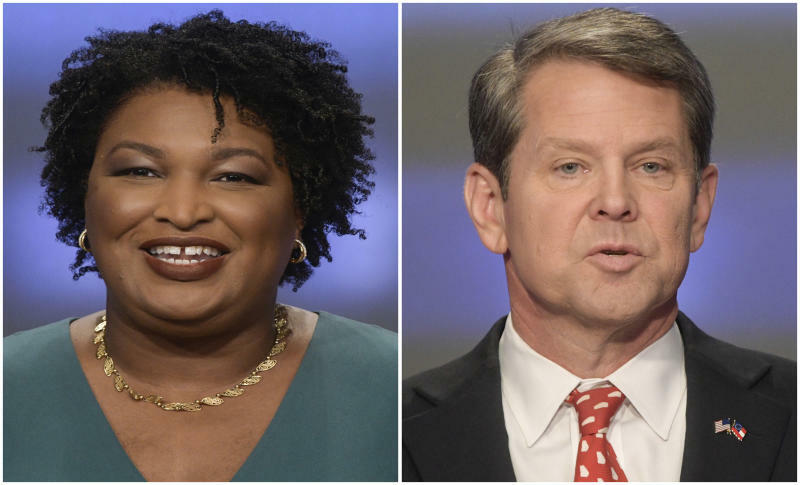 Abrams and voting-rights groups have called it a conflict of interest for Kemp to keep overseeing the vote tabulations as the state's chief elections officials. Five Georgia residents are suing him in federal court asking a judge to block him from having any further role in the election's administration. An initial hearing is scheduled for Thursday.